There are a few questions that I receive over and over. "How long did it take to get that photograph?" Well, if you've ever asked an adventure or outdoor photographer that question, rest assured you've caused them to think. Why? Because behind every great image, there's a fascinating story. In this blog I want to answer your questions with examples of images I've captured starting with this one. This photograph of a mature bull elk, jumping though a calm pond at sunrise is one I am particularly fond of. It is a shot that I started planning for years ago. 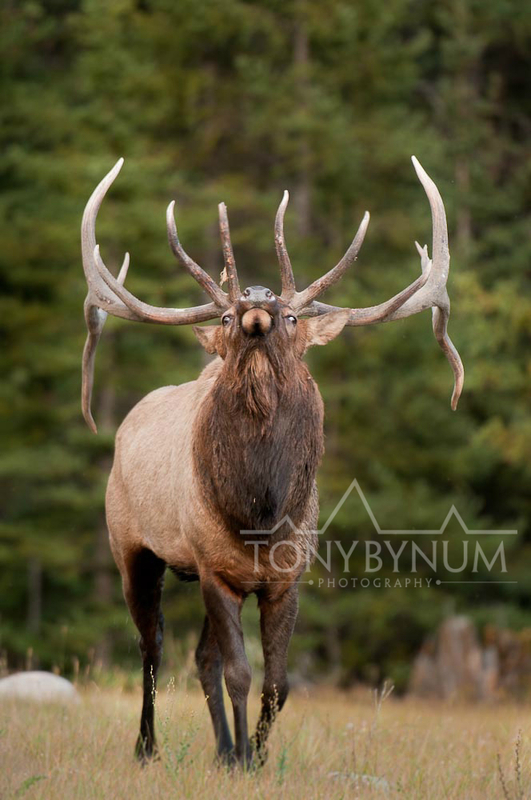 It started by developing my understanding of both the environment and the habits of rutting bull elk. The photograph of the bull elk jumping though a river started in my head, as many do, about 10 years before it was captured. Before I captured this elk image I'll bet I sat on this site, during the fall elk rut, for 20 days over a 10 year period just waiting to take this image. 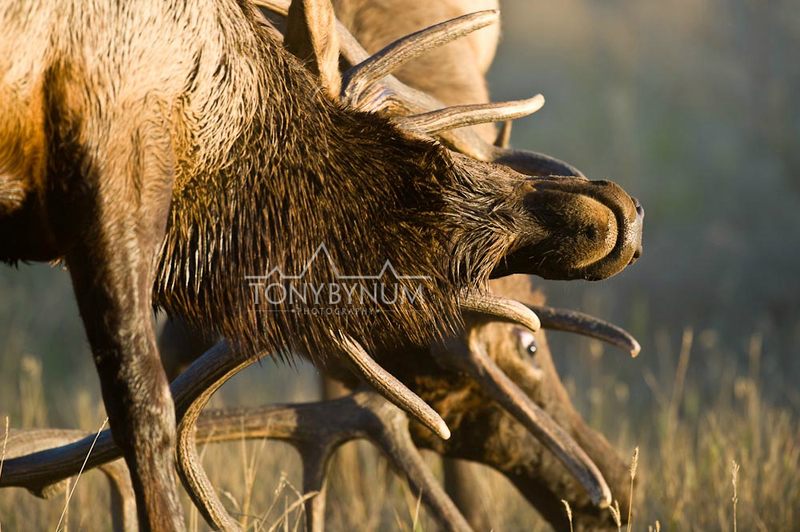 The key to this photograph of the bull elk, is practice, and persistence. Stop and think about all of the conditions that must come together, at the right time with the right series of events to get a photograph of a mature bull elk jumping though a river on a calm morning during the elk rut. 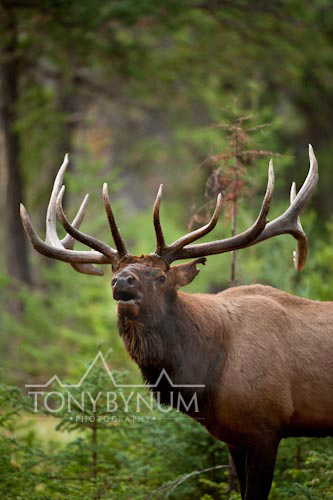 Wind, weather, sky, and the right action from the bull elk must all be precise, and you must be there to capture it. 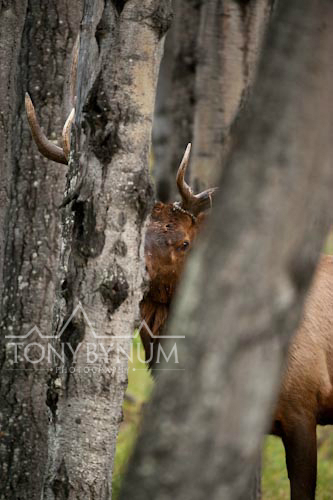 While the bull elk photograph may not appeal to everyone, it does mean a lot to me. While you won't get paid in cash for all the hours in the blind, the results of years of trying and then finally getting it "right" are what keep me on the pursuit. Careful planning, considerable commitment, and some luck will result in success. Tell me what you think about the image and if you have a thought about preparation and persistence share it with us! Keep on keeping on!